Big things are on the way for Edward Sharpe and the Magnetic Zeros, who released their self-titled, third album last week. While Edward Sharpe and the Magnetic Zeros was originally set to debut last year, the reason for the delay is clear—and worth it. The band has hardly taken a breath since hitting the road to support their sophomore album Here. 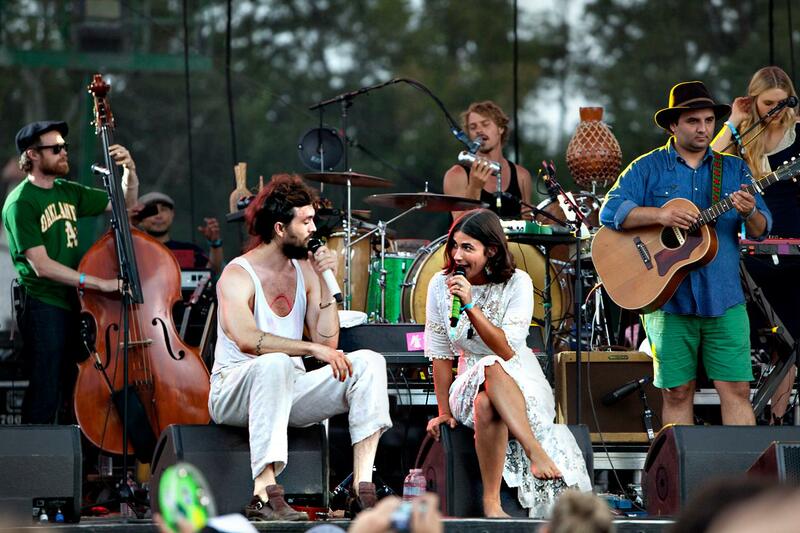 In conjunction with shows scheduled over the next two months, on Monday, they announced Edward Sharpe’s Big Top. The festival will run October 17-20 in Los Angeles State Historic Park, full of films, vaudeville comedy, and circus activities all selected by the band members. Though other artists are promised, Edward Sharpe and the Magnetic Zeros will perform all four nights in a traditional, 360-degree circus tent.Listening to their latest release, it seems a circus atmosphere would be the best way to properly perform some of their jaunty new material. Although known for being a more exuberant band, they seem to have injected an old soulful sensibility into Edward Sharpe and the Magnetic Zeros. (The ten-piece band did have six extra musicians pitching in for the recording, surely adding some extra color to the mix.) A few songs (“Let’s Get High,” “Country Calling,” “If I Were Free”) fluctuate tone and tempo to the point where a circular audience seems necessary for the band to get the full sense of emotions across.Their message of love hasn’t changed much in any of their albums, but their sound has. Up From Below came with a delightful urgency, while Here was delivered in a much calmer manner. Edward Sharpe and the Magnetic Zeros sprinkles a little bit of both throughout the album, but in a different way. It’s bigger and noisier, more produced than previous efforts, and each voice is even more audible than before, with nods back to the vocally layered choruses of the sixties. Frontman Alex Ebert’s voice has changed most notably, now laced with a gritty, fatherly wisdom that could only be borne through shouting and sharing his truths in every corner of the globe over the past few years. The new depth of his vocals—present even in his highest falsetto—brings an edgier vibe that demands a second listen from anyone who previously wrote Edward Sharpe off as a flimsy indie-folk band. Edward Sharpe and the Magnetic Zeros have always given some impression of a hippie collective (or the Manson Family gone right, as I like to think). Their third album only furthers that notion and proves why it’s far from the worst thing. Intertwined with lyrics that sound straight out of the summer of love (“Don't you know it make no difference to Christ / We're all Jesus in disguise, when we're high on love!”) is a warmth that could only come from a group of people who share an exclusive admiration among themselves. In “Two,” Ebert and Jade Castrinos sing “two voices carry farther than one,” but the spacey, Jefferson Airplane-like bridge wouldn’t have sounded so smooth with just two band members. The same is true for the epic “If I Were Free,” with its many unpredictable paths that swim between a dreamy stroll and a druggy excursion, complete with call-and-response interaction between Ebert and his Zeros.If one thing stands above the Zeros’ desire to spread their love, it’s their desire to make you move your body. The uplifting “Better Days” will have fans swaying as easily as “Home” did. The twangy beat of “Country Calling” encourages an instant two-step in the same vein as CCR’s “Bad Moon Rising” and Ebert’s gruff, hearty vocals will strike a note with even the harshest critics. Just surrender all your groove-defying defenses and let the caramel silkiness of “In the Summer” wash over you. 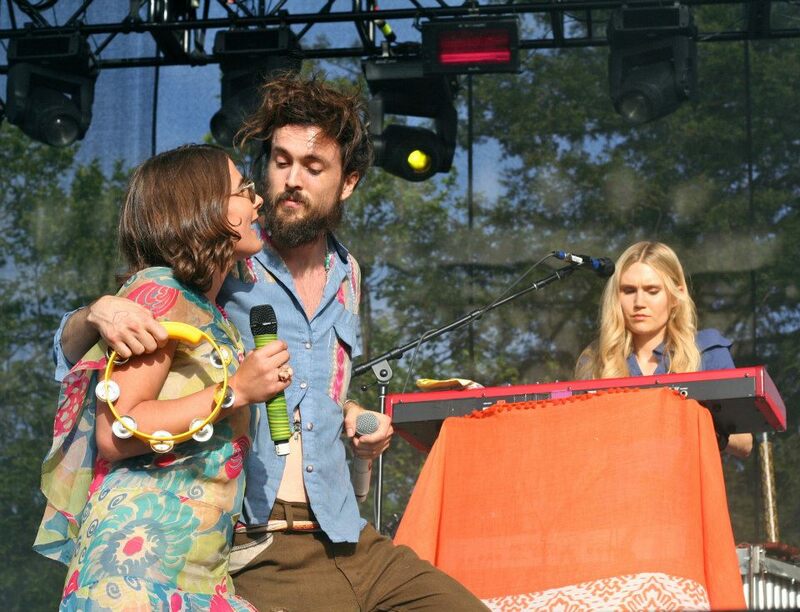 If you have yet to jump on the Edward Sharpe and the Magnetic Zeros bandwagon, you might want to stretch your legs. Their third album is pure fun, blurring the lines separating folk from rock from soul more than Up From Below or Here even attempted. When you’ve got a fully-grown man earnestly singing, “I’m tough enough to be a flower,” it’s safe to say he’s found his groove. You might want to pick up Edward Sharpe and the Magnetic Zeros and see if you can find yours, too.